The following column appears in Gambit and online from our news reporting partners at bestofneworleans.com. Our state lost a legal titan when former Louisiana Chief Justice Pascal Calogero Jr. died Dec. 20 at the age of 87. He served nearly 36 years on the high court, more than any other justice in Louisiana history, including 18 years as Chief Justice. His legacy will be measured by much more than his impressively long tenure on the court, however. 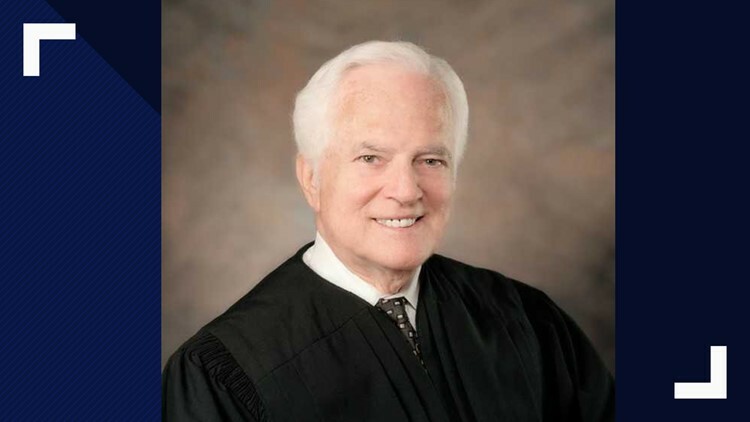 “I would like to be remembered as an energetic, hard-working, honest and able judge who contributed during his service on the Louisiana Supreme Court to maintaining stability in the law and jurisprudence, while serving the least privileged of our citizens with compassion, integrity and fairness,” Calogero said at his 2008 retirement ceremony. He was all that and much more. I know this because I had the honor of knowing “the Chief” for nearly 45 years — and the greater honor of serving as one of his law clerks, briefly, in 1994. Three things have always stood out in my mind about Calogero — the enormity of his intellect, the tirelessness of his work ethic, and the depth of his humility. Any one of those qualities is unusual in a politician; finding all of them in one public servant is extraordinary. I met him in 1974, when as a cub reporter for The Times-Picayune I covered the first of his three very difficult re-election campaigns. I was struck then by how dignified he remained as his opponents savaged him with exaggerated attacks. He didn’t raise his voice or respond in kind; instead, he spoke of the "rule of law" and every person's constitutional right to fairness. Those were his values, and that was his style. In fact, in all the years I’ve known him, I never heard the Chief raise his voice, not even to those who criticized him. "I failed to take note of your recent graduation from Loyola Law School by offering you a clerkship," he said. "Pas," I answered, "I didn't ask you for a clerkship. Besides, I already have a job at a law firm." Turns out one of his law clerks was about to go on maternity leave, and he needed a pinch hitter. Thus began, in early 1994, my six-week tenure as a clerk at the Louisiana Supreme Court. What I saw during those weeks — and for years afterward — was a man whose devotion to justice and to the judicial system was unflagging, and whose intellect was unsurpassed. He once called me into his office to assign me an opinion on a matter about which I knew absolutely nothing. Before I could begin to try to mask my ignorance, he began discussing a case that had been decided more than 10 years earlier — citing it by name and year, without benefit of notes (he never did learn to use a computer) — reviewing the facts of that case and analyzing why it was controlling law in the case at hand. I quickly realized he was dictating the opinion that I was supposed to write, so I fumbled around for a pen. When I pulled the old case, it was exactly as he described. He did this as effortlessly as you or I might pick up a newspaper and read the headlines. And then there was his late afternoon ritual: packing up all the day's work and stuffing it into a half-dozen boxy briefcases, wheeling them to his car outside, and loading them into his trunk to take home and read at night. When he pulled out of the parking lot, the back end of his car literally sagged from the weight of all the paperwork in his trunk. Each morning, he would unload it all — much of it marked up with his notes from the night before or earlier that morning — and haul it back up to his office. A former law colleague of mine, Martin Landrieu, told me of the time he and his father, former Mayor Moon Landrieu (who was Calogero’s law partner early in their careers), went duck hunting with the Chief. Martin got up in the middle of the night and noticed one of the vehicles outside the camp had its lights on. When he went out to investigate, he found Calogero in the front seat reading briefs and writ applications. The Chief worked that way throughout his tenure on the Supreme Court. He never considered working any other way. He authored more than 1,000 majority opinions and countless concurring and dissenting opinions. More than that, he literally raised the bar for lawyers and judges throughout Louisiana by tightening the Supreme Court's rules on judges' and lawyers’ conduct. He also played a leading role in establishing Louisiana’s indigent defender system. His crowning tangible achievement was returning the Supreme Court to its former home at 400 Royal Street, a historic masterpiece of a building that now also houses the state Fourth Circuit Court of Appeal. It took more than a decade to get the state to restore the building, but when completed it was universally hailed as a triumph. I hope someday the state will see fit to name the building for Pascal Calogero Jr. His impact on the court, and the law, earned him nothing less. — This tribute borrows heavily from a 2008 column I wrote upon the retirement of Chief Justice Calogero from the Louisiana Supreme Court. Read more from Clancy DuBos in Gambit and online at bestofneworleans.com.